Brother Philippines, through its annual participation in DepEd’s Brigada Eskwela 2018, was able to successfully light up a public elementary school in Montalban, Rizal, as well as provide much needed school supplies for the school’s eager students. Due to its remote location in Montalban, Rizal, Inigan Elementary School has little access to school supplies and no access to electricity to light up its classrooms. Because of this, students are left to study in dark and hot classrooms and make do with old books and writing materials. 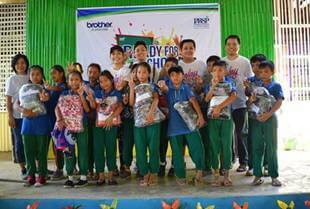 Together with the Philippine Business for Social Progress (PBSP), Brother selected its beneficiary school and trekked up the mountains to bring bags, notebooks, and writing materials, as well as raincoats and umbrellas to 100 students. 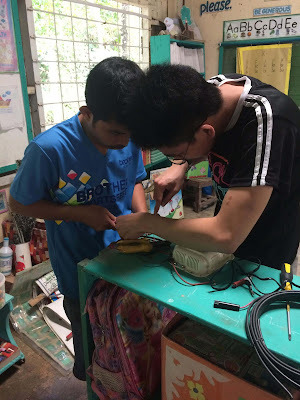 Brother volunteers also prepared fun and educational activities for each grade level such as Pinoy Henyo, a math quiz bee, word puzzles, and storytelling. Brother Philippines help install solar panels on Inigan Elementary School’s roof. 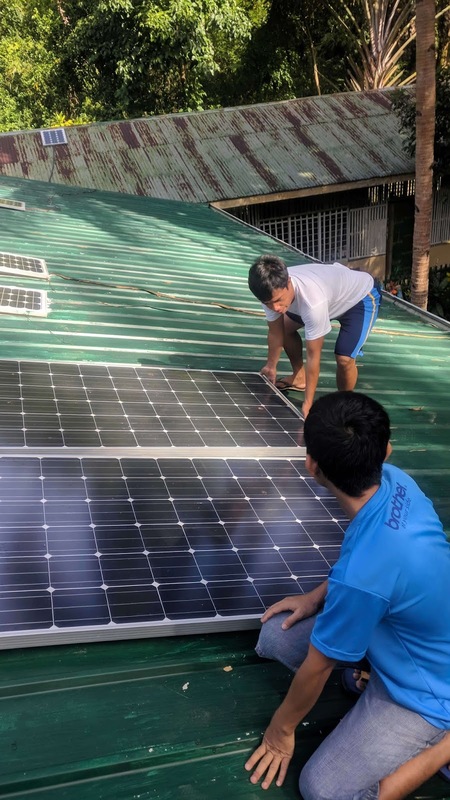 To address the electricity problem, Brother Philippines brought with them 7 solar panels to help light up the school’s 7 classrooms. (From L-R) Brother Philippines Logistic Manager Ms. Evelyn Pechino, Brother Philippines volunteers Trisha Macariola, Patrick Cornell, and Elben Arcilla, and Brother Philippines President Mr. Glenn Hocson take a picture with the recipient students of Inigan Elementary School. The Brigada Eskwela program started in 2012 as part of Brother Group’s efforts in staying true to its Global Charter foundation which recognizes the role of a responsible corporate citizen.